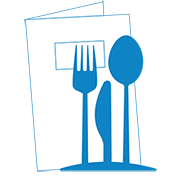 VIENNA Advantage F&B Industry vertical provides a complete solution for a chain of restaurants including operations and management. VIENNA Advantage is the only of its kind solution covering all needs of a growing and scalable F&B business. No matter what type of operations you run, combined with its ERP, VIENNA Advantage offers you just the right features on a single platform. 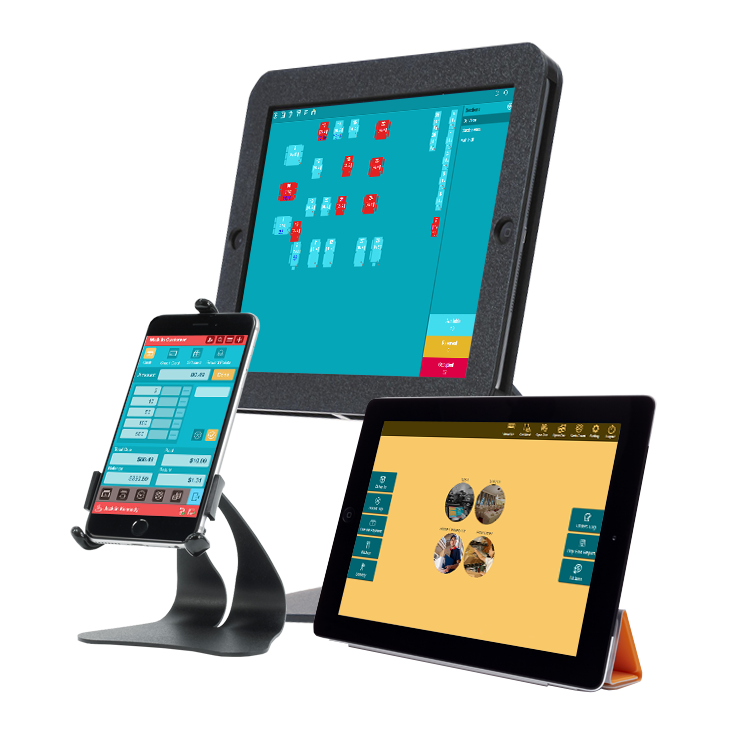 VIENNA Advantage can manage Dine-In Table Management which helps you to completely manage your restaurant and know your food and operations cost. 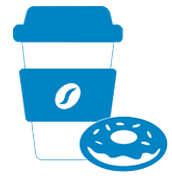 VIENNA Advantage F&B solution support cafés and offer a quick yet effective way of customer services. 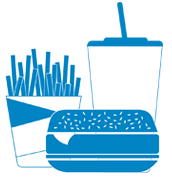 Its comprehensive set of features matching to the QSR businesses have been proven to offer the right solution for QSR businesses. Supporting all sorts of mobile devices and hardware, be sure that VIENNA Advantage support the kind of concept you have in mind. With its offline yet powerful operations supported on tablets and phones, VIENNA Advantage is the light but powerful companion for your food truck. VIENNA Advantage supports full home delivery operations including delivery app for drivers, real time location tracking, multi-channel ordering and much more. 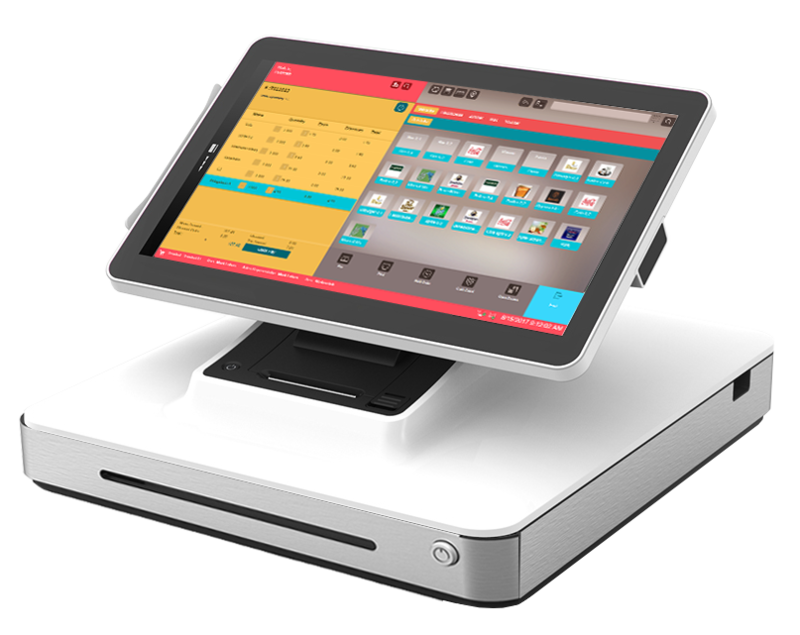 VIENNA Advantage Restaurant POS solution is compatible with any operating system and mobile/tablet device. It’s even suitable for small screens such as iPhone, Android, or Windows phones. All you need is a devices with a browser. Accept Credit and Debit card payments securely with your cards reader. Your guests can pay contactlessly via NFC. It’s fast, easy, safe! Moreover accept payments with rewards and loyalty cards directly via our POS solution or setup custom payment options, process partial payments, split tenders and more. Use an inbuilt or connect an external cash drawer to store your money. It can be opened wirelessly from the system, or with the included keys provided by the hardware manufacturer. You can pair any receipt printer available on the market with our F&B POS solution. Print custom receipts from your inbuilt printer or wirelessly connected receipt printer. It’s easy to set up, and fast to print. In addition you can connect numerous other devices to our F&B solution ranging from kitchen display screens, card readers, scales, token display screens, KOT printers, and many other devices.. For more info contact us. Depending on the hardware device you choose, VIENNA Advantage food and beverage software can be paired with both wireless and inbuilt barcode scanner. VIENNA Advantage F&B ERP solution allows you to connect any barcode and label printer to print custom barcodes or text labels for your orders. With the thermal printing technology you don’t need expensive ink or toner anymore. VIENNA Advantage F&B ERP solution is user friendly and powerful. You do not need to spend days to learning how it works. It is based on a single system interface for front-end and back-end operations. This significantly cuts the implementation and training times, as well as the cost. Food and beverage industry is very dynamic. This requires a software solution that is capable of adjusting to the changing circumstances. With VIENNA Advantage F&B ERP template you can manage every guest quickly and efficiently, ensuring highest level of satisfaction. Our F&B solution helps you focus on what matters! 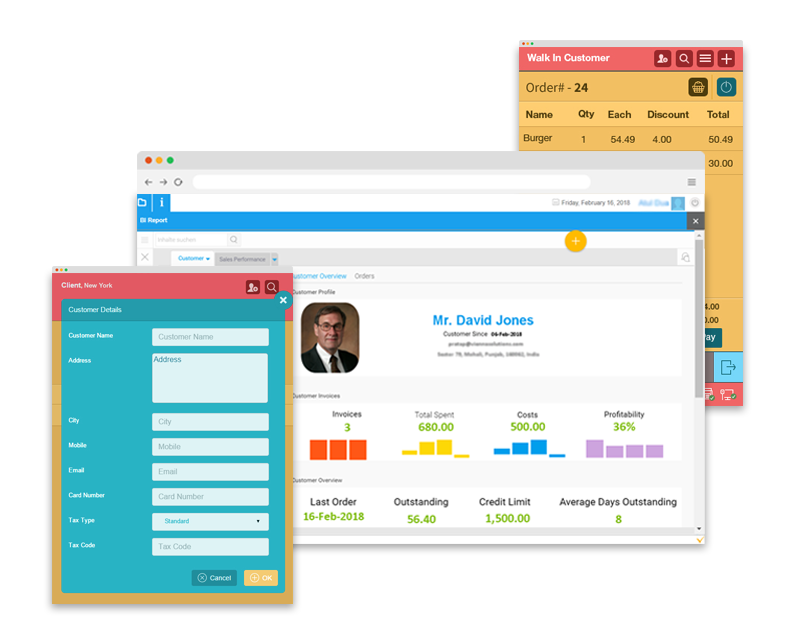 With the integrated dashboards and analytics, you will always have your business figures in view. Get in-depth insights about your customers, check the performance of your employees, or manage your stock levels better with our business intelligence module. Works on all mobile devices (mobiles, tablets, laptops...); and operating systems (cross platforms solution). 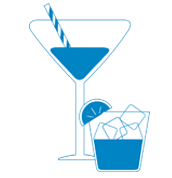 Our F&B solution is web-based and accessible from anywhere. Moreover, you do not need to worry if there is a break in the internet connection. VIENNA Advantage F&B solution works perfectly offline as well as online and will never fail you.